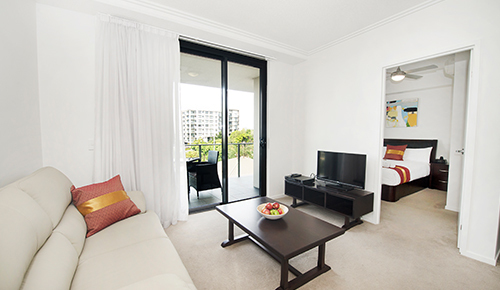 Gladstone Central Plaza's three bedroom apartment is a perfect choice for those looking to get away in style and luxury. Featuring a fully-equipped kitchen, separate lounge, dining area and balconies with views of the harbour and city. Located right at the heart of Gladstone CBD, it’s the ideal choice for any situation. Fully equipped laundry facilities make it the perfect option for extended holiday stays.